Black powder substitutes in SASS sanctioned side matches? 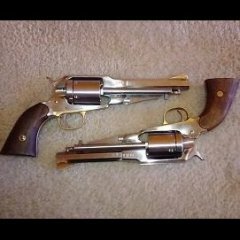 New to black powder/frontier cartridge. 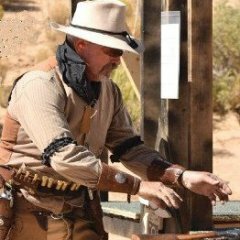 Are all black powder substitutes allowed for SASS sanctioned matches and side matches? Is there any rule that would disqualify a participant from a long range side match for using synthetic black powder such as 777, black mz, etc? Asking for a friend. Thanks for your help! Tell your friend they're good to go. Now you should ask which powders perform best in long rang side matches. Note that BlackHorn 209 is not approved for SASS use as it is a duplex powder. That doesn’t apply at all SASS sanctioned matches as we found out at Yuma this weekend. The originals winners, male and female, were using 777 and got disqualified after they had been told they won. Just curious was there anything in the stage instructions that forbid substitutes? So they were stripped of their title and told it was because they were using 777? What was the reasoning behind disallowing 777, or was it all subs? That's a fantastic way to keep people from returning to a match. No there was not. The rule was made after everyone had shot. From what I’m told all subs users were DQ’d from the long range rifle side match. Well that's slightly better, but that should have been stated up front. But it wasn’t, it was all after the fact. Guess I will take them off my to go list. Sounds like dealing from the bottom of the deck to me. Woulda been different if everyone would have been told prior to the match or they had posted the information on their website and on the match flier but they didn’t. Can't tell you how sad it makes me to hear of a match pulling rules that are in direct contradiction to the SASS rulebook out of their .... thin air. And to make that decision AFTER the shooters have completed the side match, WOW! Homer, where art thou? They were very disappointed as they should have been. They spent quite a bit of time working up a load and bullet combo and many hours at the range. That would be a place I'd have to put on the "Skip It" list. I'd also post the behavior at all the clubs I shoot at. In fact, as soon as the season starts, I'll do just that. That's just plain Chickin Sh##T. PSS: Howz about posting the actual name of the club sos we can all champion their cause. Before you condemn the shoot to do a term in Yuma Prison, why don't you wait and hear the other side of the story? I don’t know if we’ll hear the other side, Ace, they weren’t real free with information at the match. Gunrunner Pete and Fireball Rainey asked quite a few questions after they were DQ’d and got very few answers. This is only the long range side match, correct? They weren't dq'd from the main match as well? Long range rifle side match only. Someone there at Yuma really likes to chase away shooters huh?? Wow, at first look something appears amiss. Would be good if someone from the Territorial Prison Outbreak or the Colorado River Shootist would offer an explanation to quell the discontent. There surely must be an reasonable explanation. Here is how it works. If you have a specific requirement, you spell it out in the shooters handbook. If your handbook and adverts all say "All SASS Rules Apply" ..... then "ALL" SASS rules apply. There is no "except the ones we decide we don't like" at the last minute addendum of unpublished opinion. Without a specific disclaimer or caveat, the winner is the 'WINNER." Your sudden personal objection is ..... moot. Once you have announced the WINNER, He/She/They are the WINNER ... Period. They don't have a side, other than they really screwed the Pooch. Not to mention the actual WINNERS. From the match Shooters Book. Are they ever on the SASS Wire? Who is they? I’m not sure what the answer is to either question. I would say no to the first one based on the length of this thread. Rules call for a 170 degree cone to be maintained. Besides - Two planes at 85 degrees from down range would be required to have what was called for. One cannot have one "170 degree plane". 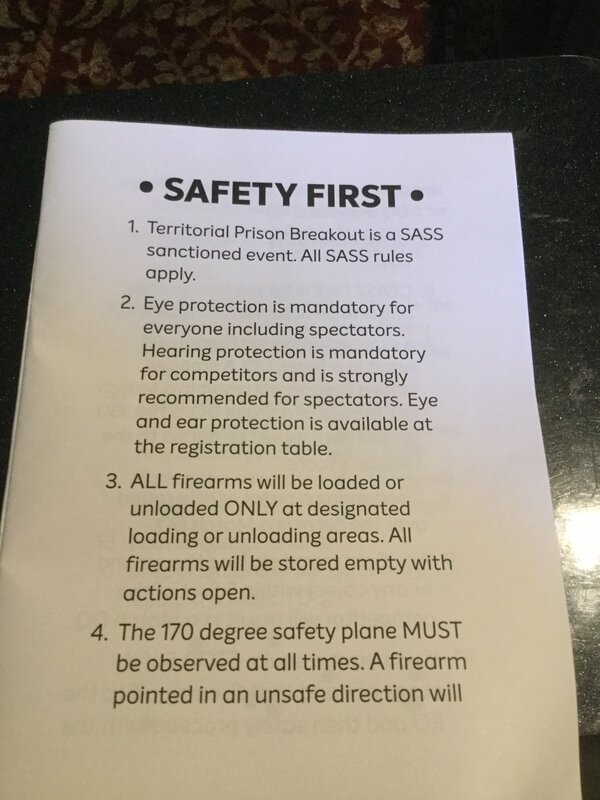 Don't write out a specific SASS rule in your shooter handbook unless you CHECK that you got it right. 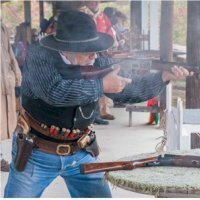 BLACKPOWDER SHOOTING CATEGORIES Blackpowder category contestants are expected to understand they will contend with smoke obscured targets. 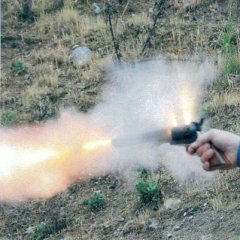 To ensure this, all shotgun, revolver, and rifle powder charges must produce smoke at least equivalent to a baseline load of 15 grains by volume (1 cc) of blackpowder (see Blackpowder – Testing section for additional requirements). I believe this was the issue. Long range rifle side match. Wouldn’t any rifle used in that side match require more than 1cc of BP to even get the bullet to exit the barrel?